In over fifteen years of hard-hitting rocking, Staind have mastered the skill of crafting tunes that are richly melodic and lyrically thought-provoking, while still viciously heavy. The Springfield, Mass., outfit’s seventh studio album, out today (Sept. 13), is packed with a combination of hard-edged rock chords and teeth-gnashing riffs, resulting in a sound mottled enough to remain compelling, but rarely off-putting or overindulgent. Above all, it’s heavy. The collection is heavier, in fact, than any of Staind’s previous releases. This is sludgy, gut-wrenching music where the sonic grain serves as coloring for the forlorn words. Anyone who’s reared on alternative metal will find comfort in the self-titled release and appreciate how Staind have returned to their foreboding, heavy roots. This new album is the heaviest Staind album yet. What led you guys to go in that direction? It was really time. We had drifted so far away from what it was that we were when we started out, and it was time to come back to what started it all and what got us here. 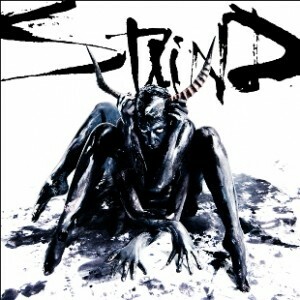 There have been comparisons between this release and Staind’s second album in 1999, Dysfunction. Would you agree with that? Only on one level. I would agree in the sense that during the recording process of Dysfunction, there was a nervous, anticipating, excited fear of the unknown. The energy in the studio while we were recording was tangible and captured on tape. On this record, it was the frustration and the unknowing — and all in a negative way — that was also captured on tape. You just premiered the documentary of the making of the album, The Making of Staind, and you’ve stated before it was hard to watch, because it shows how difficult it was to record the album. What got you guys through it, when times got tough? The fact that we weren’t together and were doing things separately. [Laughs] That we weren’t actually spending time in the same room together. Then, we didn’t talk to each other until after things had calmed down and everybody was able to take a step back from what it was we were so involved in doing to see that everything was okay. The album’s first single, “Not Again,” is No. 1 on the rock chart. Will you put me inside the song and your state of mind when writing it? It all manifested itself through the song– the duress and struggle that it was to make this record. I’ve always felt like if you tell people what the songs are about, as the writer, it’s like telling somebody what the end of the movie is before they go see the movie. It kind of ruins the experience for the listener. It’s one of the great things about music, that from the listener’s point of view, they can see it for what they want to see it for. They can apply it to their life and how the words fit them, and not only see it through the face value of what it was written about. There’s one song that I’ve said what it’s about over the years, and it kind of ruined it for a lot of people, and that’s, “Epiphany.” I don’t think anybody realized that song was about ADD. I think they adapted the song for what it meant to them. Now you listen to the song knowing that it’s about me having ADD, and there’s a whole new, different meaning to the song. Why do you think Staind have managed to survive and thrive after the post-grunge, rock bubble of the late-‘90s and early-2000s, when so many bands have fallen away? I don’t know. Maybe because we have amazing fans. I don’t really know what we might have done differently over the years. We’ve always tried as hard as we could to not let anybody else’s visions or interpretations be allowed to be applied to us in any way, and we’ve always stayed very true to ourselves, and we’ve never gotten sucked into the over exposure machine. I can count on one hand the amount of award shows I’ve been to and red carpets I’ve walked down, and we’ve just really never cared about that stuff. Maybe it’s the fact we’ve quietly sold 15 million records. Maybe that’s the reason why we’re still here, because we did it quietly. 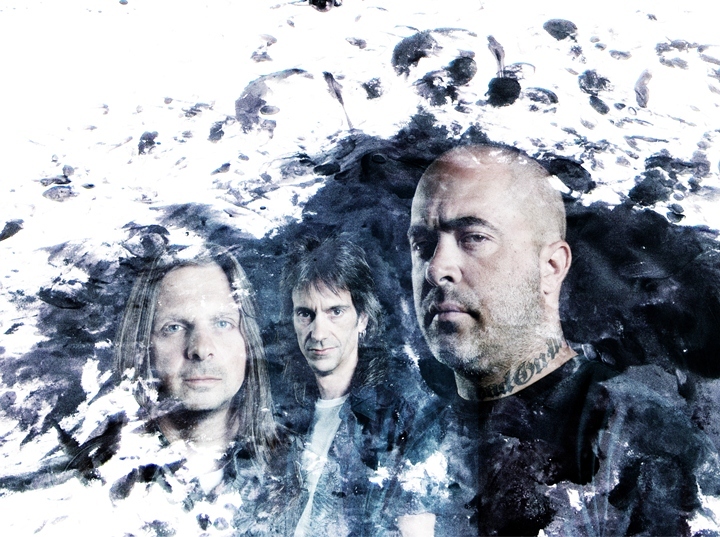 Staind plan to do a proper tour for the album next year, right? Yeah, there’s a week in December and a weekend here in September, but we will kick off a real tour next year, when we get back from Australia and Japan and Hawaii. Staind just announced they’ll be playing a show in New York City to benefit the families of 9/11 on Sept. 15. Why did you guys feel moved to do this? Because of the coincidence with everything– the fact this is our release week, and the fact that when they started talking about doing a show for release week in New York City, the release date and 9/11 fall in the same week. I thought that instead of doing your usual release week show somewhere, we should have it mean something. I certainly haven’t forgotten.